For the last several days, our area has had nearly constant and penetrating rain. It's pretty dreary weather for the cows, but not many people are complaining since the region desperately needs the moisture. But if newspaper headlines are anything to go by, both cities of Spokane and Coeur d'Alene were freaking earlier in the week. 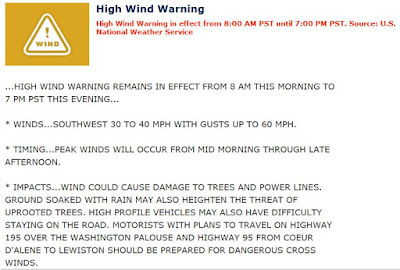 That's because another windstorm was upon us. Coupled with the constant rain, it caused concerns. 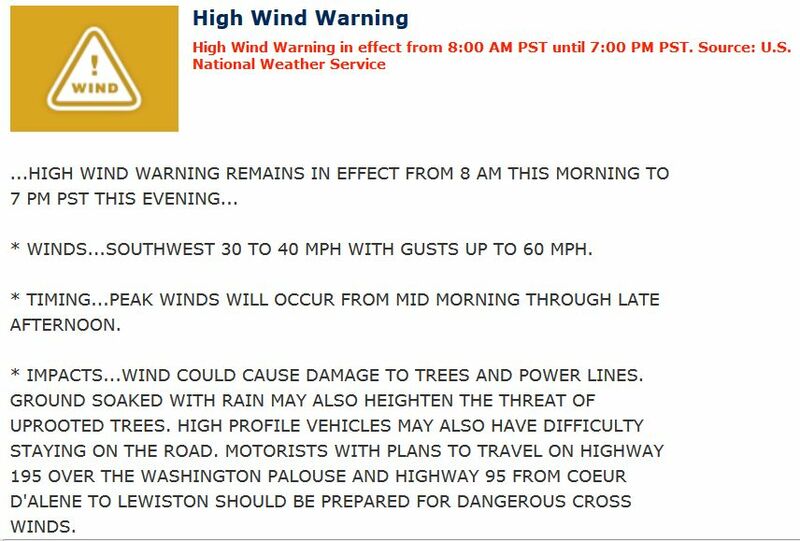 "Wednesday will likely be the windiest day of the week," noted the Cd'A Press, "and has the potential for gusts of 50 mph or more over the region. 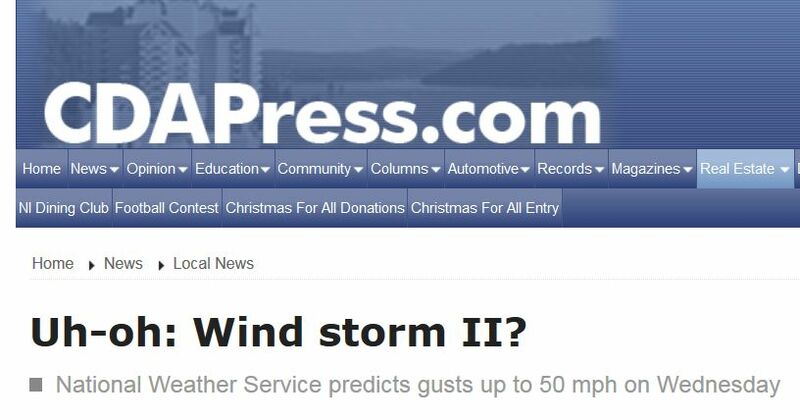 That is nearly the same forecast the weather service gave for the Nov. 17 storm." "City leaders said the wind combined with the saturated soil from the heavy rain could result in more trees falling," noted a Spokane news station. "The only thing different this time is that we are expected to see sudden, strong wind gusts unlike the sustained high winds back in November. The challenge is that the magnitude of these winds could change any second and officials still do not know what hidden dangers the previous windstorm left behind." 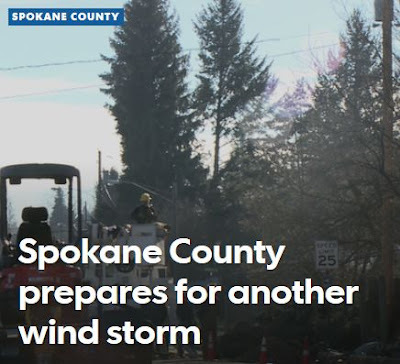 The Spokane article added, "Greater Spokane Department of Emergency Management leaders are encouraging people to be prepared with an emergency kit and to have their own food, water and other supplies." Weather forecasts certainly confirmed all the concerns. Along with thousands of others, we took these weather warnings seriously. We didn't want to get caught with our pants down again! So yesterday (during a brief break in the rain), Don cut and split firewood, and he and Younger Daughter stacked it on the porch. Our cookstove uses so little wood (compared to our old woodstove) that this amount will last us a couple of weeks. We put two barrels in the washroom and filled them with water and a bit of bleach. This is 100 gallons available for household use, and I think it's more efficient (as well as a greater volume) than the endless one-gallon jugs we had stored away. The floor of our house is simply a concrete pad, so weight isn't an issue. ...and every other odd container with water. Unlike the last windstorm, temperatures were above freezing so we could fill with alacrity. ...the other half took shelter in the older barn, in Polly and Matilda's pens. Speaking of whom, I let Polly, Matilda, Amy, and Hector into their pens early. It was pouring and they were soaked. The other animals take shelter under the barn awning, but these guys are lowest on the totem pole, so they get stuck out in the weather. That's why I tuck them into their own pens each night. By the time I came in from all these chores, my barn coat was soaked, so I put it by the cookstove to dry. It was so wet, one of the sleeves left its own little puddle. So this morning we were braced for the storm. Supposedly the wind was supposed to peak around 1 pm, but by 7 am it was shrieking and blowing so hard the rain was literally sideways. I seriously thought about not releasing the chickens or Matilda & Co. at all, it was that bad. But at last the rain stopped (though not the wind) so I went ahead and let the animals loose and cleaned the stalls. The wind kept sliding the cinder block I use to prop open the barn door. In order to keep the hay in the hay sled while transporting it to the old barn, I anchored it with a piece of OSB. This worked great until the last trip when the wind whipped the OSB off and the hay went flying until I wrestled it back on. I got all the barn work done early and then took a shower, in anticipation of the more intense winds due later in the day. But in fact, the wind decreased, not increased, after that 7 am blast. The power stayed on. As I write this (5:45 pm), it's still very very windy, but not insanely so (and the rain has stopped, making things more comfortable for the beasties). We even had a pinch of color at sunset, a nice change. Altogether a different outcome from last month's windstorm -- though this time at least we had some contingency water plans for the livestock. 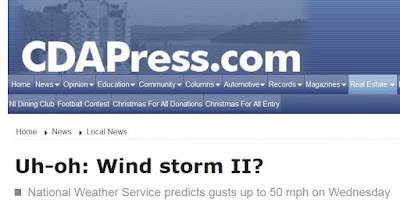 We lived for years in the Antelope Valley, and yes it really was that windy - but your comment made me laugh - thanks! 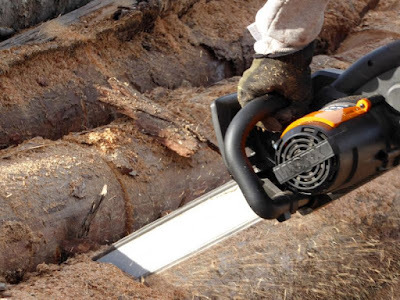 are you paul bunyan's great great grandson? It's mighty wet over here. Mighty wet. And we had wind last night driving the rain into the windows so hard I actually got up at one point to see if it was sleet. The neighbors down by the river are almost to the point that only those with high clearance trucks can get out through the high water accumulated around their houses. Learning from your mistake, the way it's supposed to work. Thanks for keeping us informed on what works and what doesn't. Good job with the preparation! We cleaned stalls , set out extra water and hay in each and battened down all the things that tried to blow into Montana last month, lol. Our large square bales of hay, that I feel very blessed to have been able to purchase are covered with tarps that must be tied down and untied to access. Extra rope to go over the stacks is on my Christmas list. By lunch the rain had let up and there was some blue sky showing and wind was blowing. We decided to turn out the horses so they could run off some steam; it was actually the nicest day out of the last four. The chickens stayed in their yard, retreating to the coop with each gust. Three more of our pulleys laid eggs that day, as evidenced by the small eggs mixed in with the larger ones and we had a good laugh about them being frightened into laying. The power stayed on and everything stayed in place. The only effect was the lack of mail, which I inquired about at the post office after not receiving any for three days. The Spokane office was damaged, which is where it's sorted. I'm remembering these folks in my prayers, as this just adds to the busyness of the season for them. We are blessed to have such a system of mail and weather forecasting. I ran across these posts from another cattle rancher struggling with how to run his deep well pumps during power outages. I ran across these posts from another cattle rancher struggling with how to run him deep well pump during power outages. Good information.